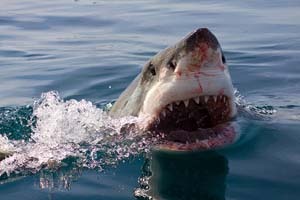 The boat leaves before dawn as this is the best time of day to see great white sharks hunt. 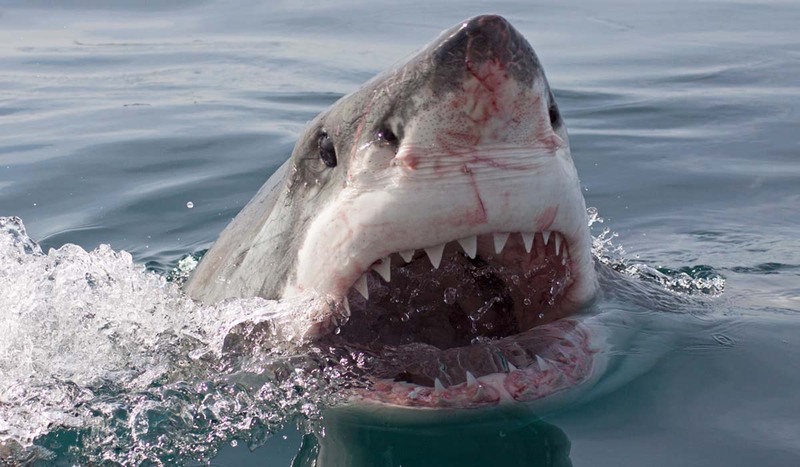 Watching Great White Sharks Hunting is an amazing experience and attacks could last for minutes with the sharks having a 50% success rate on their attempts because seals move quicker than great white sharks. After first light, the hunting slows down as the sharks are now more visible to the seals. We then use a decoy which is towed behind the boat; this usually also promises some action. 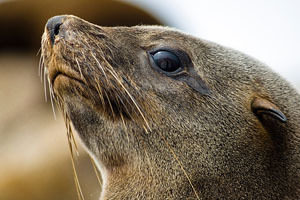 After this exhilarating experience, we will visit Seal Island to see the colony of 40, 000 – 60, 000 Cape Fur Seals. 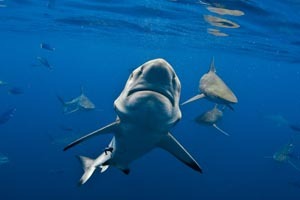 Here we will drop the anchor and chum the water; the chum attracts the sharks to the cage to make viewing them easier. After the cage is lowered into the water your cage diving experience will start. 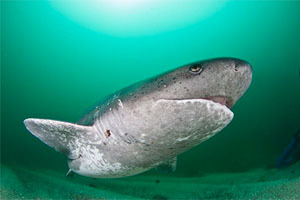 This unforgettable experience will end with the cage diving experience. Excellent day out with the Sharks! 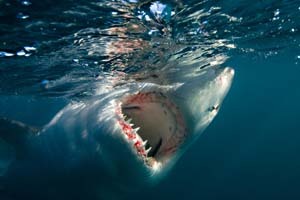 We took a chance to go to the Island in February and had 7 Great White Sharks! Fantastic all round trip!!!! Anchor boat and start chumming to get sharks to boat. Drop cage and brief clients on the cage dive and shark behaviour around the boat Cage diving and viewing.